*Youth Ted Talk Mt. Jordan Middle School - 11/4/15. Review of Techtoberfest - QR Badge tracks what sessions people attended - They had about 600 people - They usually lose people in Tooele but this time they did not. They had a Disneyland Trip to give away. They had a good correlation between what people signed up for and what they attended. They had the schedule 2 weeks before they had Techtoberfest. Granite District has a conference coming up. Larry from Granite. Technology Instructional Leader - GenYes kids work with and make suggestions and tutorials for the teachers. 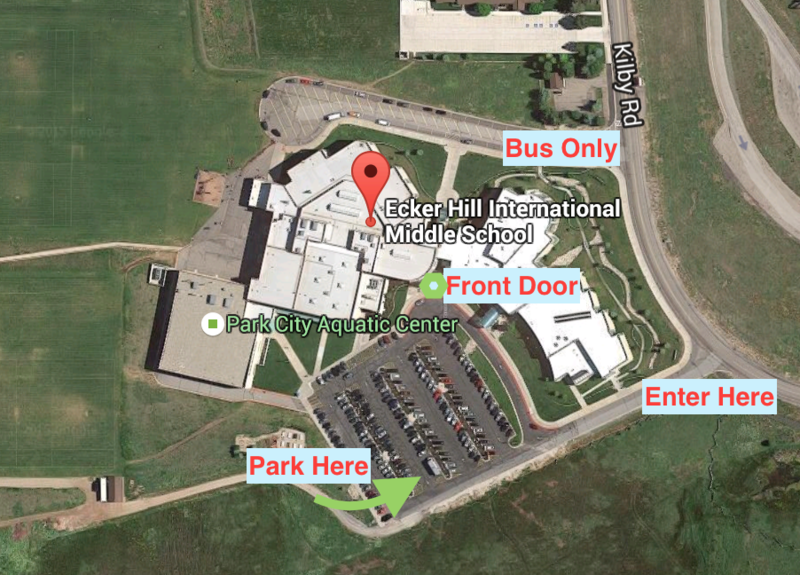 Ecker Hill Middle School is a one to one Mac school. The GenYes kids are tutors as well. GenYes works at Treasure Mountain Middle School as well. There are 9 GenYes students (7th grade). Sam Thompson opened a class for the 8th grade level this year. 2014-2015 was the first GenYes year. Park City has 5 Technology Instructional Coaches. They are all certified teachers. Step by Step instructional signs for how to get tech help. Student used her own math journal to film a tutorial about how a good math journal looks. Tricia's favorite thing about SueCon was the unexpected (for her) numbers of people who came to her sessions. See her blog post. Katie did Flipped Faculty Meetings and was pleased with how many admin showed up. Jared sees a level of participation increase and opportunities for Technology training. Dani thought there was a lot of different options and the vendor hall was very well done. Rob attended and enjoyed a Gamification session by Katherine Wood. Class Craft. Jared Fawson - He noticed a lot of teachers are not aware of resources that are out there such as eMedia. EdHack - Set Up - SueCon had sufficient time between sessions, hallways were color-coded, special administrator strands. He enjoyed presenting with other people. Tricia's Time Management class was great! Pam presented on Google and Chromebooks. She is Google Certified. She also presented on Playing Nice on thePlayground with Apple and Google. Doug - He presented on Aurasma and Social Media in the Classroom and Developing a PLN. Rick G. - appreciated the practical items, the gathering of a like-minded community. Rick presented on the Tech Plan that is going through legislature. He also presented on Open Resource on Pioneer Library. Weekly PDs every Monday - they get out early. 80 high school teachers. Their accountability for that is a simple exit ticket. He has a front office page - including photos of admin and staff -goal is to make it more interactive and paperless - including financing - he will either export the course or add us as an observer if we would like. They had a Quizzlet for Acronyms - Ha Ha but effective PGPs, SLOs, PNTs, their staff was only able to identify about 50% of the anacronyms. First year that Park City has done SLOs. Everything on their resource for SLOs page has been covered in a PD in Faculty meeting or other. PDs on Monday - Danny and team review the exit tickets from the day before. They record the PD meetings and host them in Canvas. He likes using the graphic-based pages with icons to help make information clear to teachers. He differentiates his classroom by allowing students to select from multiple projects. Each project has different links. Lots of synergies between Google Drive and Canvas including their SLO folder system. Real time - they can have a teacher and an educator working together on the SLO. They use the comment feature within Google Drive. They can also view all the historical iterations of the documents. The admin can double check that changes he asked for have been made. Canvas alone did not allow them to do all the collaboration they wanted. They have found that Google Drive has filled that gap. They are a Google School. 12:30 p.m. - AfterSchool/Grade 1 Coding Program - Grant Smith - We teach our students computer programing because it teaches them to think and problem-solve. Time is a challenge _(Why would we spend time on computer science? It's not tested. See Gallop/Google Computer Science Survey More info. Focus on computational thinking. Parallelism, sequence, collaboration, algorithms, etc. 45 minutes 1 X per week of computer coding in the elementary schools. At this time they can't take the time to train all the teachers. Currently about 400 mostly 1st graders some second, are getting 45 minutes per week in computer coding classes. How do we assess? How do kids reflect? How do we take this as a serious academic subject. The downfall of code.org is that the kids don't really know what they are learning. It is just a game. They need to have explicit discussion and journal reflection to see what kids are actually clicking. They are using code.org for the instruction in 1st grade - they want to make their own curriculum or have a clear path rather than 4th grade using Scratch and 6 grade using Kahn Academy, etc. Katie Blunt presented on Base Camp. - BC has more views and seems more linear. Michael Hakkarinen - Slack - You all have to have the same suffix in your email. Great way to communicate outside of text messaging and emails. Outside your data plan. Tricia - presented on GroupMe messaging - use GroupMe with peers, Remind with students. Kenny says that Uintah uses GroupMe for emergency situations like power outages. Tricia on Voxer - Voice and Text abilities. Date and Time: Tuesday, December 8, 2015, 8:30 a.m.-4:00 p.m.
Pam Turley - NEBO had a training like this and invited their Network engineers. The engineers loved it. Please follow @UELMA_Utah UELMA is hoping to increase their Social Media Traffic. Like their FB Page. UELMA Conference - Plotting Your Course In A World Of Change - At the Larry H. Miller Megaplex At Jordan Commons 9400 South State Street, Sandy, UT 84070Registration opens January 4, 2016.Late Registration begins March 1, 2016. *TedX Youth Event - Mt. Jordan Middle School. Tomorrow 9:00 am http://tedxcsd.weebly.com for tickets. Technology plan is moving forward to Executive Appropriations this week. uen.org/digital-learning. We are asking for 100 Million. 50 million one time 50 million ongoing. Next CForum meeting December 4, in Duchesne.